Posted April 16, 2015 by Emily Adams . 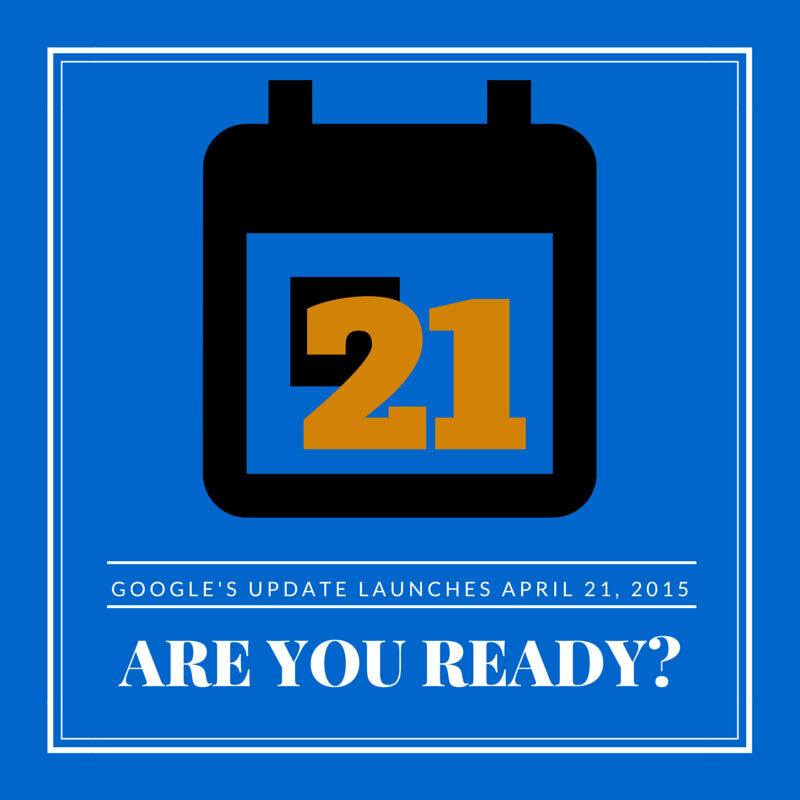 Today marks the final 5 days before Google releases its next algorithm update, slotted for Tuesday, April 21, 2015. And the chatter hasn’t died down. All of this chatter was sparked by one post on Google’s Webmaster Central Blog: Finding more mobile-friendly search results. This was big news – past updates have launched with very little, if any, warning. Panda and Penguin caught website owners off guard with big changes to acceptable SEO practices. But unlike these earlier penalties for questionable practices, this update rewards websites that go above and beyond for user experience. If your website isn’t mobile-friendly and responsive, you aren’t necessarily doing anything unethical or problematic – but you aren’t doing enough to make your website visitors experience the best it can be, and to take your website to the top of Google’s search results. There’s no question – mobile matters. It’s where your customers spend time. It’s where they look for information. It’s where they decide to buy right now. Not having a mobile-friendly website isn’t necessarily wrong, but it is likely hurting your business. And in just 5 days, it will start hurting even more. If you’ve missed the conversation, I’d encourage you to read one or more of the articles above. The countdown has begun – are you ready?